Many people use the expiration date as their guide when they're deciding what food to toss. However, the dates on most foods are not federally regulated. If your fridge is packed with questionable deli meat, 17 half-empty condiment bottles and a wilting bagged salad, you’re not alone. National Clean Out Your Refrigerator Day is on Nov. 15, so celebrate by, well, cleaning out your refrigerator. With the holiday season around the corner, the day is perfectly timed to make space for the large serving trays (and leftovers!) that will inevitably appear. But how can you decide which food to keep or toss? Many may use the expiration date stamped on perishables as their guide. However, the expiration dates on most refrigerated foods are not federally regulated; in fact, they differ wildly from state to state. Sell-by: This date is a tool to help retailers organize their stores so that products are sold in the appropriate order. It isn’t necessarily a signal that food is no longer good to eat. Best-by/Best Before: This date tells you when the item will be at peak freshness. Food is generally edible past this date. It describes food quality, not food safety. Use-by: This date tells you the day that the peak quality of a product will end. Again, food is usually still edible after this date. So, which expiration dates can you bend the rules on? Milk/Yogurt: “If it passes the sniff test and is only a week past the expiration date, it’s generally fine,” said Mary Ellen Phipps, a registered dietitian and nutritionist. Dr. Jennifer Quinlan, a food microbiologist and associate professor in the Department of Nutrition Sciences at Drexel University, agreed. “I am comfortable eating yogurt 1-2 weeks past date as long as it doesn’t smell,” she said. Meat: Heath experts agreed that raw meat could potentially have pathogens. Stick close to the expiration date here. But you can always freeze meat once it hits its expiration date, suggested Quinlan. Bagged Salad: Quinlan said bagged salads “will physically deteriorate before they make you sick,” so you’ll know at a glance if it’s edible. Because babies’ immune systems are still developing, there is a higher level of scrutiny for the food they ingest. If you have formula that has passed its expiration date, throw it away. Don’t just consider the date or type of food, but the refrigerator itself. 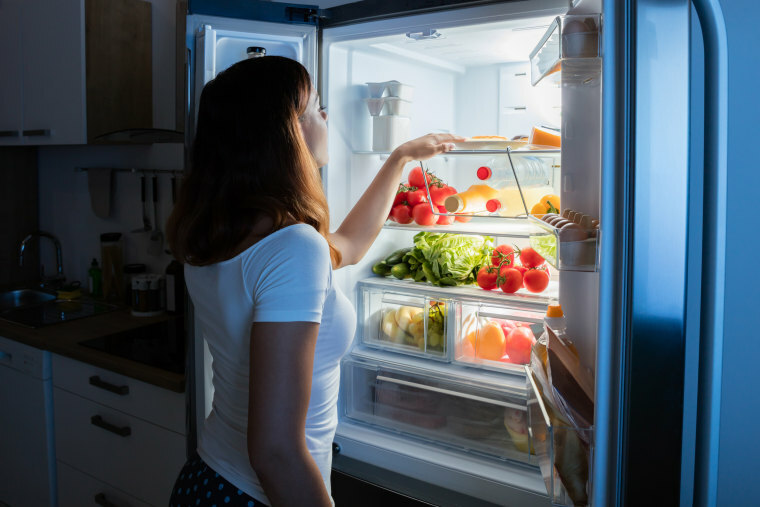 “Most people don’t realize that their refrigerator should be 40 degrees Fahrenheit and that foods stored in the door may be 5 degrees warmer than that,” said Nelken. He suggested keeping a thermometer right in the fridge. Here’s the bottom line on expiration dates: When in doubt, trust your gut. And your nose.